The leaves arch gracefully to a height of three feet. 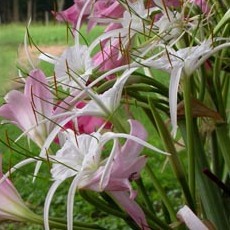 Since this crinum multiplies well, it would make a great ground cover and edging plant. It tolerates a bit of shade, adding a tropical, lush texture that is lovely along walkways. Growing Conditions: It thrives in full sun or shade. 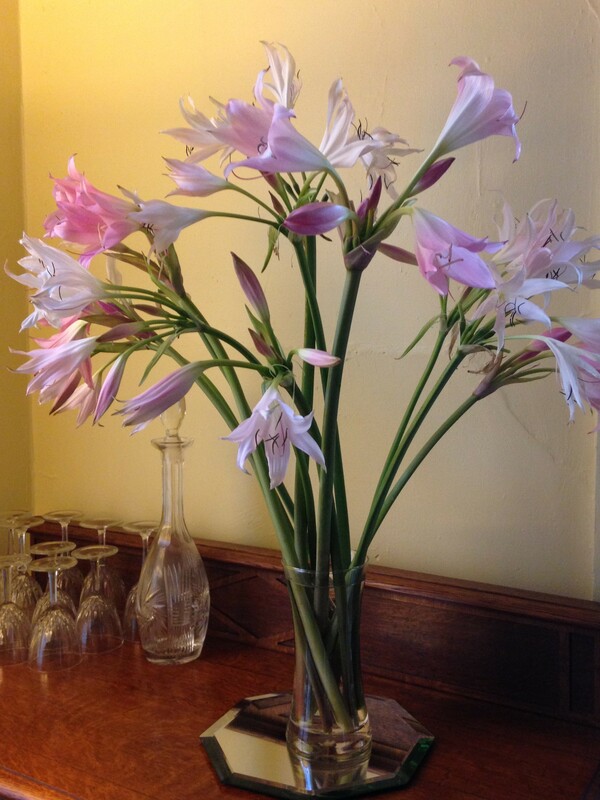 Flower: These are elegant and soft-pink flowers. But we grow this one more for its foliage statement rather than its flower power. 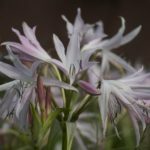 Flowering Season: Though it’s shy to bloom, the pale pink, open-faced flowers top plants in late summer. Leaves: This is a compact plant that spreads easily. 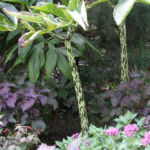 It has wide, light-green leaves reaching a height of 24 inches. Think of it as a really fat, tropical-looking monkey grass. 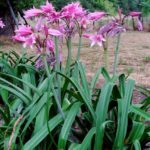 How to plant: Because it’s useful as groundcover, we divide the clump and plant these as plugs, putting a bulb in every few inches. Plant it at a depth of six inches. Where to plant: Plant in either shade or sun. It’s useful under other perennials or in front of things like ginger lily. A mass of this in a shady bed looks very tropical. Note: this isn’t a plant for dry shade or for where there is root competition with trees. Our Bulbs: We dig and ship a mature, golf-ball-sized bulb clump with many surrounding pups. Be the first to review “Crinum ‘J.C. Harvey’” Click here to cancel reply.